The Seahawks did something appealing, then something appalling, for the sports year’s high point and low point — in a two-week span. But there was so much more of each . . . 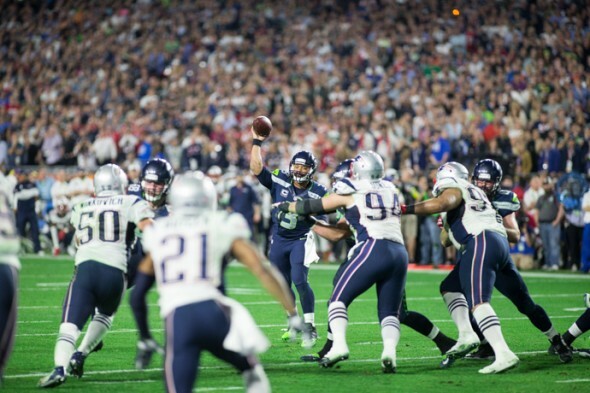 In 2015, the Seahawks again were at the heart, and heartbreak, of Seattle sports. Following a flabbergasting win in the NFC Championship over Green Bay with a more astounding loss in the Super Bowl to New England, the Seahawks continue to flog the region’s sporting heart at year’s end with The Quest for the Lost Yard. But many more things beyond the Seahawks were appealing and appalling. The 28-22 win over Green Bay that sent the Seahawks to Super Bowl XLVIX was the best five-turnover-making, fat-guy-touchdown-scoring, onside-kick-recovering, Jermaine-Kearse-failing-and-soaring, Russell-Wilson-blubbering game you will see in the lives of your children’s children’s children. And it went overtime. Bruthas and sistahs, may I have an amen?! A former gravel pit turned British links course on the shores of Puget Sound hosted, just eight years after it opened, the biggest show in golf — a Northwest first. A global TV audience watched over four days as the warmest summer on record baked the course from green to brown while the sport’s newest star, Jordan Speith, a 21-year-old Texan, cooked the field. OK, the greens turned into broccoli. 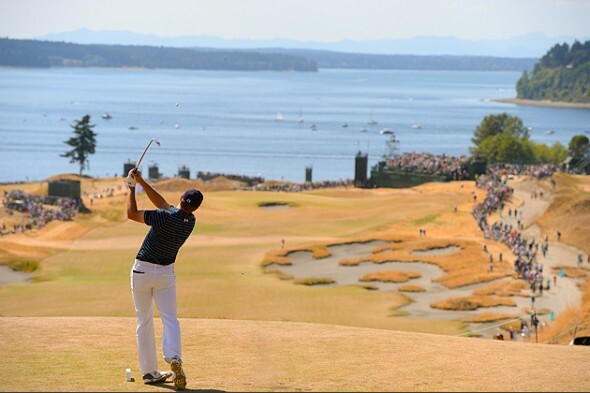 The rest of the event was a rollicking return of big-time golf to the Northwest. The seven-year tenure of general manager Jack Zduriencik had two winning seasons and no playoffs. The Mariners’ 14-year absence from the postseason is the longest in MLB. His firing — along with manager Lloyd McClendon, who didn’t deserve it but amounted to collateral damage — brought as replacements an advanced analytics student, Jerry Dipoto from the Anaheim Angels, and his acolyte, manager Scott Servais. 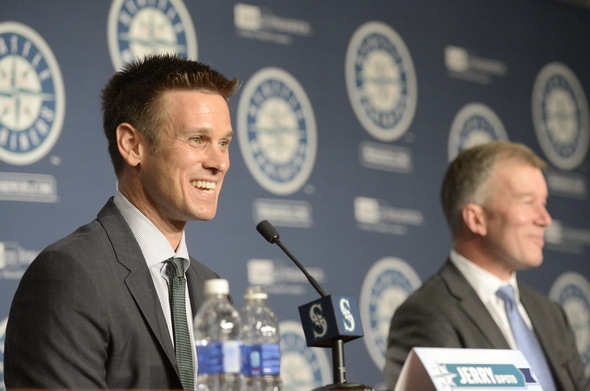 Dipoto began a purge reminiscent of the old Soviet government whenever a five-year plan failed. It’s way too early to tell whether the overhaul will work, but the mere acknowledgement that persistent, remorseless franchise dithering had to end was breathtaking. Freshmen were more common on the Huskies football team than Amazon blue badges were on the streets of South Lake Union. 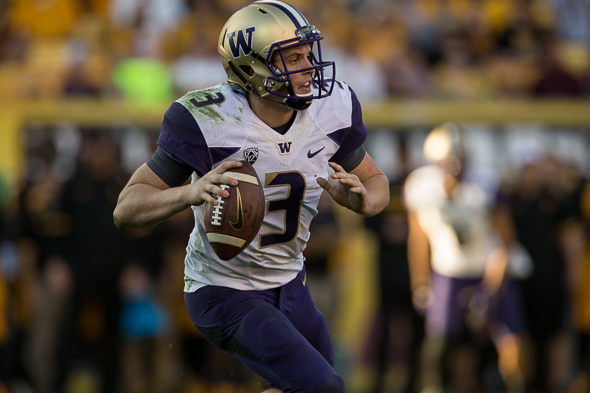 Two youths were noteworthy: QB Jake Browning, from Sacramento, became the first freshman quarterback in Huskies history to start a season, then set numerous marks for first-year QBs as he grew into the job. RB Myles Gaskin, from Seattle’s O’Dea High School, was the first freshman in UW annals to rush for 1,000 yards. 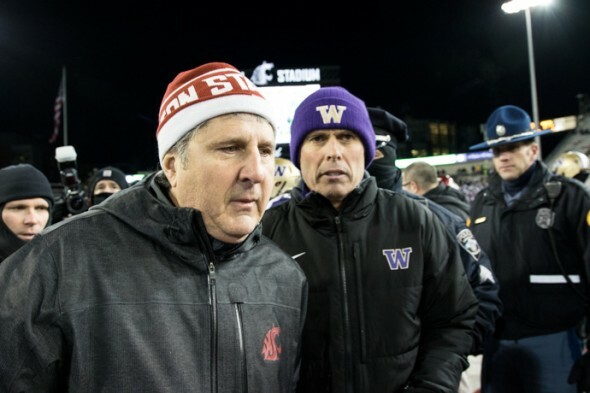 After a 45-10 win in the Apple Cup over Washington State to finish the season 6-6, the Huskies, under trickmaster coach Chris Petersen, won a bowl game and are generating some old-school UW arrogance among fans for next season. Biggest non-game tension of the Seattle sports year was whether the Seahawks bosses and their star QB would reach agreement on a long-term contract extension. They did. 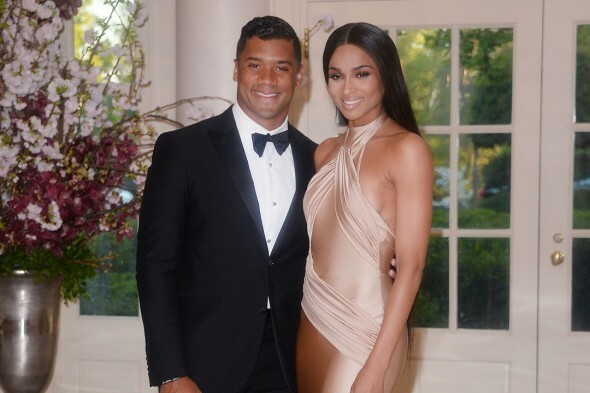 Then came the worry by some that Wilson’s romance with pop-star diva Ciara was responsible for his substandard start. It wasn’t. By December, after a five-game winning streak, the 12s’ hand-wringing had changed to fist-pumping. Wilson, behind an offensive line with no pedigree but a splendid capacity for learning, became the NFL’s highest-rated passer. And the Seahawks are playoff-bound to resume The Quest for the Lost Yard (see below). 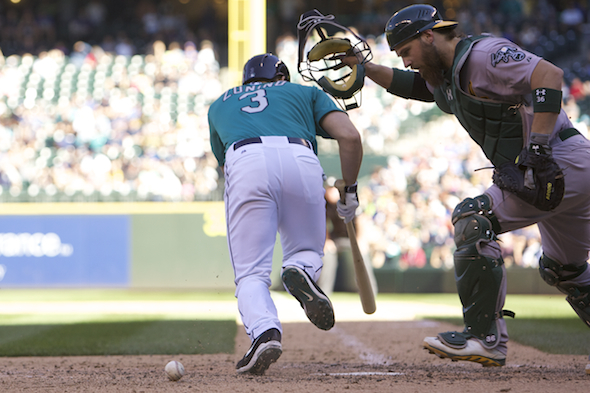 Mariners’ season-long trudge: Can’t anybody here hit with men on base? 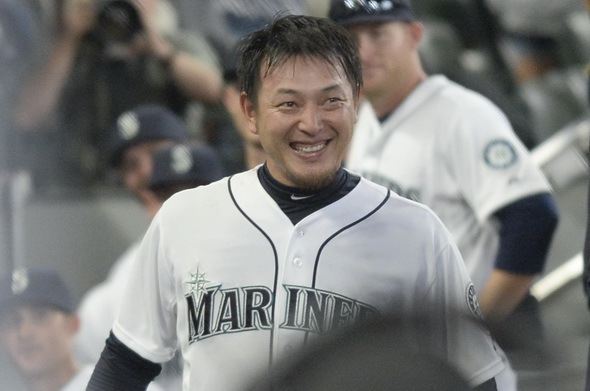 Expectations for playoffs were strong when the Mariners left spring training armed with fearsome newcomer Nelson Cruz, good starting pitching and a bullpen that was among the American League’s best in 2014. But not once did the 76-86 Mariners engage the forward thrusters. The longest winning streak was five games, they never saw .500 after 24-24 and remarkably for a mostly veteran crew, persistently blundered in the field, basepaths, batter’s box and dugout. They weren’t getting blown out — they played more one- and two-run games (91) than all but one team in MLB, and led the majors in most extra-inning games (23). But they consistently failed in the crucible, squandering a great opportunity in a fairly mediocre league. Thus, the widespread use of the postseason guillotine (see above). By far the most consistently successful business operation in the history of American soccer, the Sounders have never matched business wizardry with success on the pitch. With perhaps more talent than any MLS team, the Sounders plunged from the summit in the summer before rallying to a seventh playoff berth in seven years. But falling in a playoff shootout in Dallas meant no advance to the championship match, also for the seventh year in a row. Then, horror of horrors, the vile, despicable, contemptible vermin from Portland, the little brothers who couldn’t, did — the Timbers won the first MLS Cup for a Northwest team. The shrieks, lamentations and recriminations have barely subsided. Already seven years without a pro basketball team, Seattle nearly lost its top college basketball team. Eight players, including star guard Nigel Williams-Goss, and an assistant coach left the program following a 16-15 season (5-13 in the Pac-12 Conference) that missed the NCAA tournament field for a fourth consecutive year. 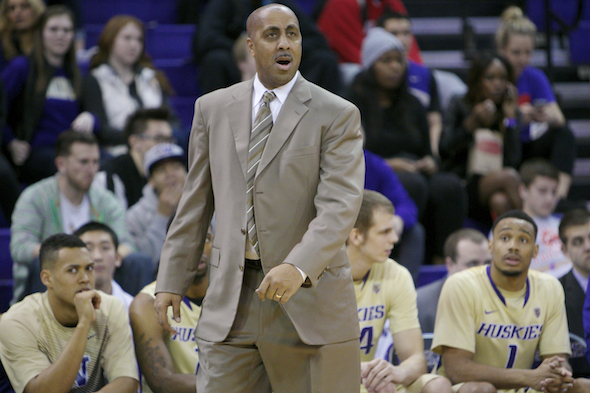 The worst crisis in Lorenzo Romar’s 13-year coaching tenure in Montlake started 11-0, then collapsed with the midseason ouster of shot-blocking center Robert Upshaw, reportedly over a failed drug test. Cries for Romar’s ouster were parried by a contract that pays him through 2020 and by a recruiting class ranked in the top 20 nationally. At least the university didn’t threaten to move to Oklahoma City. In helping create Washington State’s best season (9-4) since 2003, Leach worked wonders. In attempting to be more than a cretin, he worked blunders. If he wants to engage in little-kid-style secrets regarding player injuries, well, OK. But when his star QB is knocked cold and carted off the field to a hospital, don’t tell a national TV audience, “He’s healthy as can be. We just rested him in the second half.” When it comes to the health of college kids, especially regarding head injuries, there’s zero tolerance for sarcasm, mockery, self-aggrandizement or recklessness. For me the best moment was the NFC Championship game. 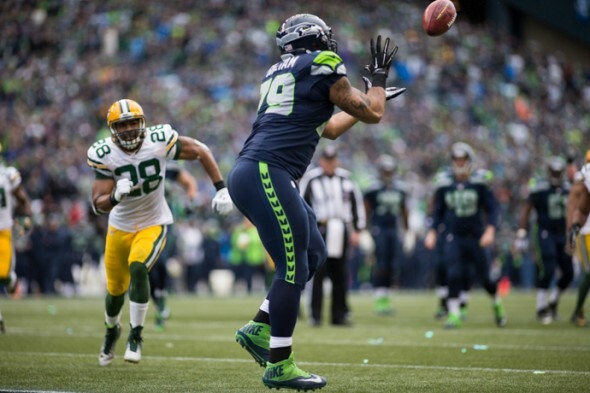 I’ve wondered if the reason the Hawks lost the Super Bowl wasn’t because of an errant pass but because they had little in the tank after coming back against Green Bay. Much like how in 1980 when the Sonics were bounced by the Lakers 4-1 in the Western Conference Finals after a grueling 7 game series against the Bucks. Worst moment has to be the Sounders. Hopefully with the Timbers winning it all the club will mirror the Sonics who went to the Finals after the Blazers won it all then won the championship themselves the next season. I would have preferred the Whitecaps winning it instead of the Timbers. And I like the Whitecaps about as much as the Timbers. If a team can’t fill its tank for the Super Bowl, then never mind playing. They lost because they threw the wrong pass to the wrong receiver. As I recently said, at least in part, with regard to the “terrible ogre” Mike Leach: I have been in more than several substantive car accidents, with a few occurring when I was a “child,” or at least a “child” by your standards, as several occurred around my college years, and I suffered concussions. I also was cold-cocked in college, coming to on the pavement, and also knocked myself cold several years ago skiing when my knee came up and hit my chin while skiing in a challenging part of Chrystal. I have little to no sympathy for people who CHOOSE to play contact sports and then whine, yes whine, because they were not coddled enough after their injury. In fact, the only thing more pathetic would be if their daddies did some of the whining for them. So, Bullwhip has had repeated head trama. That explains a lot. Just make sure, Bullwhip, that you never let increased, quality information about previously unknown consequences get in the way of your opinion. For more than 150 years, many in America, including numerous presidents, thought slavery was a good idea. A pool reporter I met said this about Leach: “Great coach, but a horrible human being.” Sums it up right there. Oh crap, an end of year Best/Worst list. That means he’s taking the week off. Don’t do it Art. How about half a day? That OK? Ok. It’s just that we need something to chew on and ponder over the long weekend. Happy new year to you and your staff. Almost done with some more chew for you.